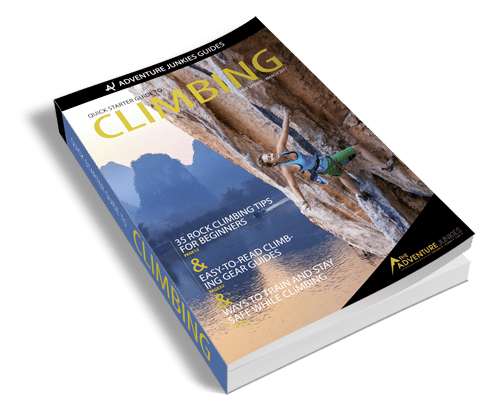 So you’ve taken up climbing, but decided that sport climbing is too soft and you’re looking for a bit more grit, pain, and fear. 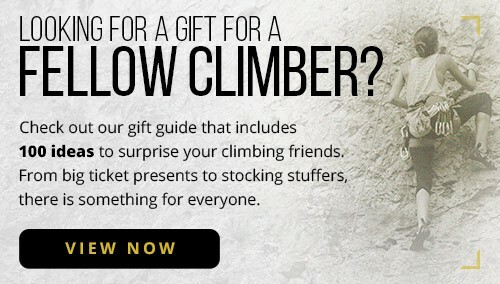 Well, trad climbing is your answer! 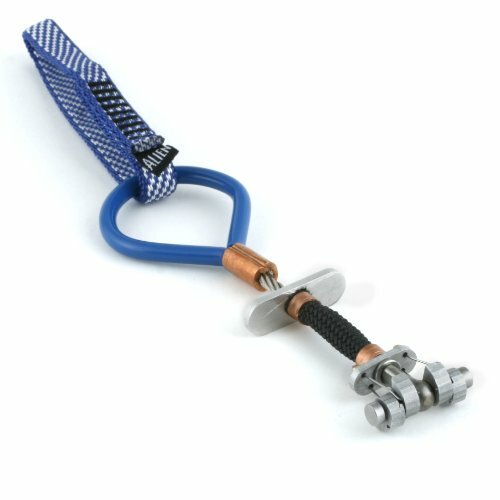 Unlike the early days, modern trad climbers have access to gear such as spring-loaded camming devices, commonly known as cams. 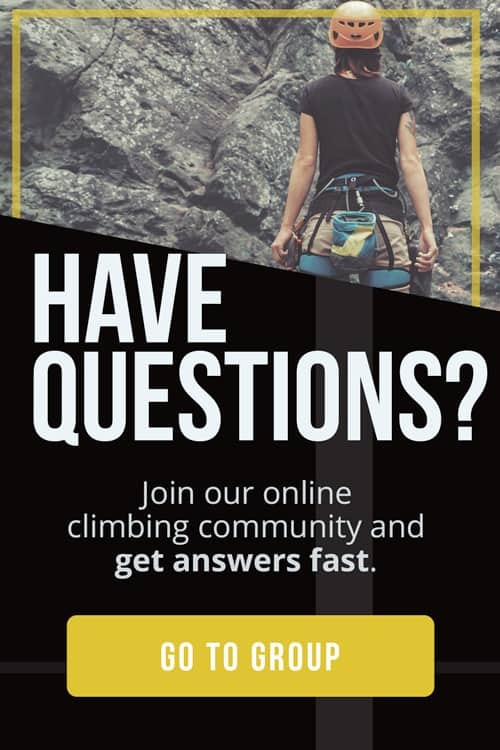 We’re here to help you choose the best climbing cams so you can jam your way up that next crack with confidence. 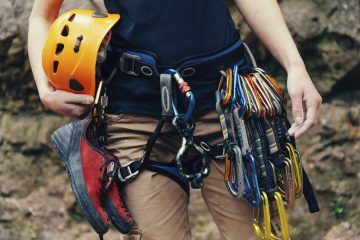 Trad climbing gear is a big investment, so it’s important to know what options are available before you buy. 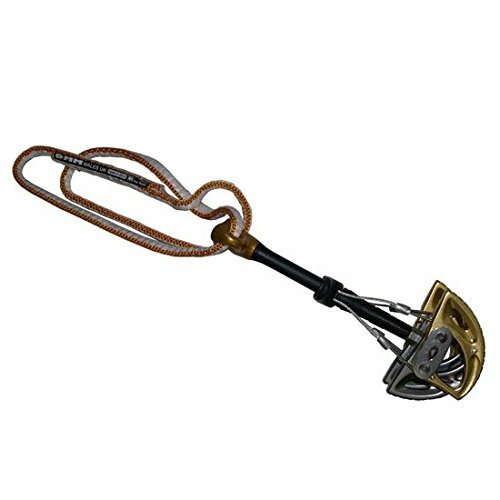 Traditional climbers use both active and passive gear for protection. Camming devices (active “pro”) are a versatile gear innovation and we at The Adventure Junkies are devoting this entire article to teaching you about them. Before your trad rack is complete however, consider adding a least one set of stoppers, also called nuts, for your passive protection. 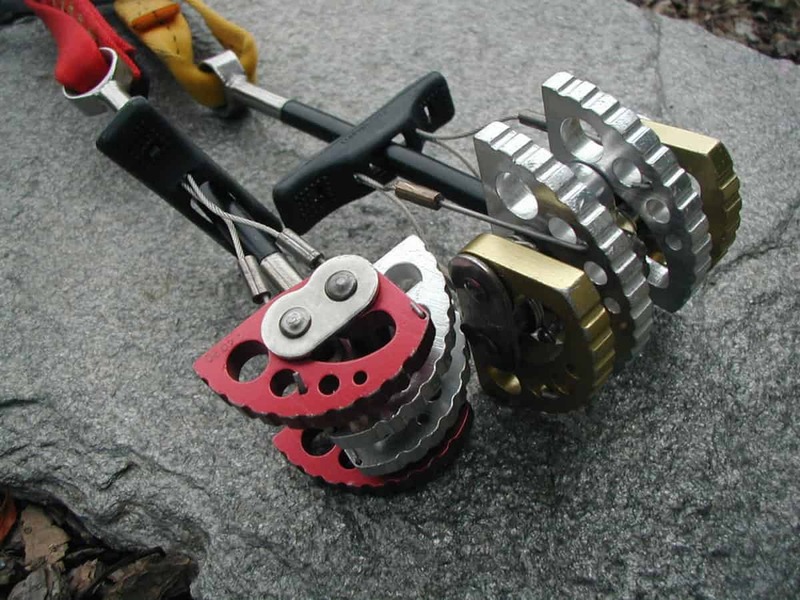 Cams are active protection and represent one type of gear used by traditional climbers. Cams have multiple lobes that are designed to expand into parallel or flared cracks and openings in rock. They can also be used in horizontal weaknesses (common in places like The Gunks). Unlike passive nuts or stoppers, they do not require a constriction to be effective. We recommend learning as much as you can about cams before you buy. To keep your rack as clean and organized as possible, you may want to limit your choices to as few brands as possible. The size of the cams you need depend on the size of the crack you are climbing and need to protect. A crack is usually described based on how one’s hand fits into it. A “hand size” crack is typically protected with cams in the 40-75mm (around 1.5-3.0”) range, and climbed using hand jams. Many people consider a complete trad rack to be doubles of most of the camming range plus a set of nuts. Be aware that you will likely need more than two of a given size when climbing splitter lines in places like Indian Creek though. Small cams (sizes 8-33mm or .33-1.25″) are typically used in finger sized cracks and smaller. Cams with three camming lobes are developed specifically as small protection, but modern four lobe cams can be quite small too. Medium – Big Cams (sizes 38-130+mm or 1.5-5+”) are typically used for hand sized cracks and larger. The industry standard for medium and big cams is the Black Diamond Camalot C4, which introduced the double axle and revolutionized active protection. 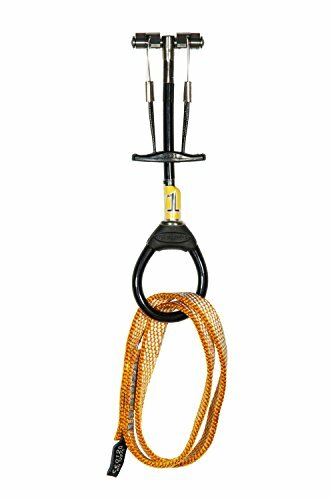 The weight of cams adds up quickly when you consider how much gear trad climbers carry. 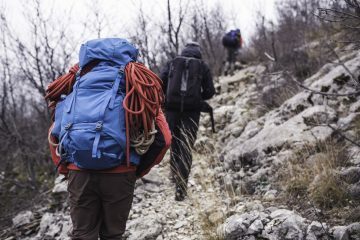 One strategy to mitigate the weight is to learn which pieces are necessary to protect a route before leaving the ground and then only bring what you need. 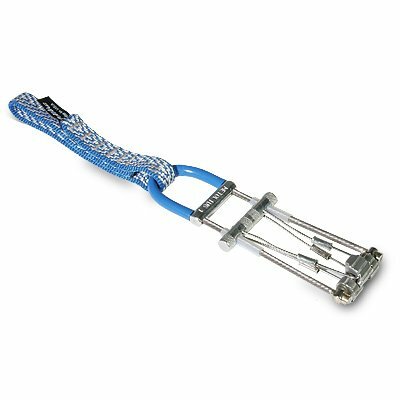 In multipitch scenarios however, climbers often carry a nearly complete rack in order to protect all sizes of cracks they may find on the route. In 2016, Black Diamond released their Ultralight Camalots, which shave considerable weight off their cams. 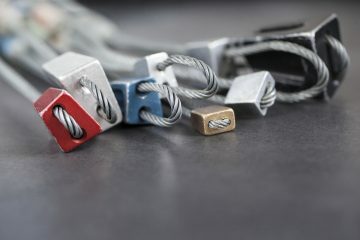 Metolius, on the other hand, completely replaced their Mastercam and TCU lines with the Ultralight versions. Modern spring-loaded camming devices can have either three or four cam lobes. All medium to big cams have four lobes for maximum surface area and stability in placements. In small sizes however, you may find yourself deciding between three or four lobes. Four lobe cams can occasionally walk into cracks, whereas three lobe cams can walk out of cracks. While the two designs are essentially interchangeable in small placements, three lobe cams have narrower heads and are often a better choice in tighter spots. An offset cam, also known as a hybrid cam, is built with two lobes of one size and two lobes of the neighboring size. These specialty cams are useful in flared cracks where the size of the opening changes from front to back. They are more commonly used in places where trad routes were originally aid climbed and pinscars remain in the rock to place protection in. 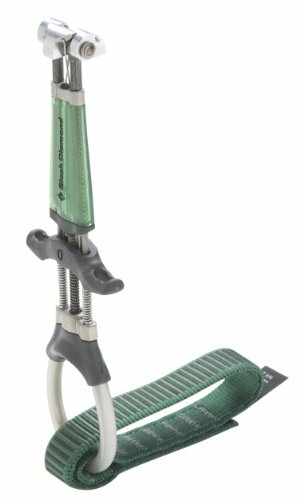 If you are using cams for aid climbing, offset cams are a great choice. Always inspect your climbing gear for visible damage. If you are concerned, several cam manufacturing companies will inspect your cams for you as well. The trigger wires and slings are often the first places on the cam to show wear, but both can usually be replaced. Always ensure your cams are clean and dry, and store them away from UV light and corrosive materials. If your cams get wet they can easily be dried and re-lubed.